Preview images for the Legends of Tomorrow episode titled "Moonshot"
You can see the new promo images below. See the trailer – and screencaps from the trailer – here at DCLegendsTV! 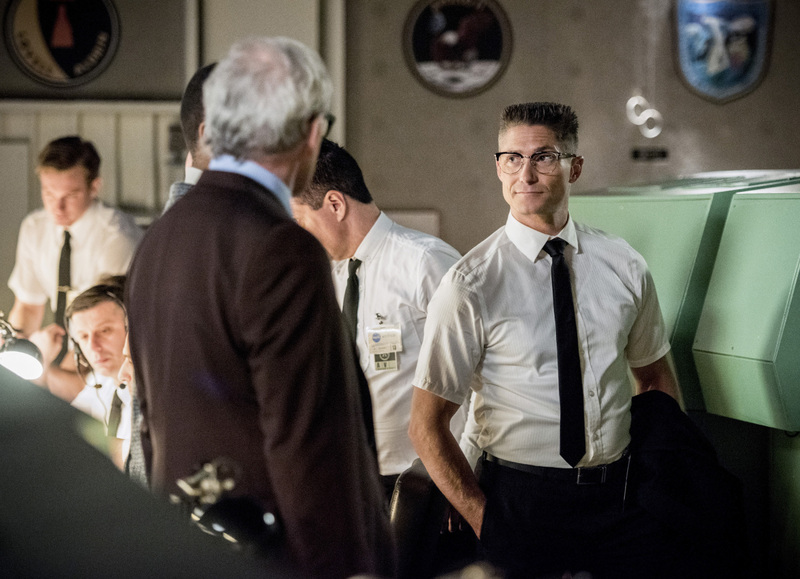 HOUSTON, WE HAVE A PROBLEM — When the Legends track Commander Steel (guest star Matthew MacCaull) to NASA Headquarters in 1970, they learn where Nate’s (Nick Zano) grandfather hid the last fragment of the Spear of Destiny. The team notices a time aberration during the Apollo 13 mission and believes that the Legion of Doom might be involved. As the Legends journey into space to intercept Apollo 13, the Waverider suffers massive internal damage and Ray’s (Brandon Routh) life is left in jeopardy when he is stranded on the moon. Meanwhile, tension grows between Rip (Arthur Darvill) and Sara (Caity Lotz) as to who is the leader of the team. Victor Garber, Franz Drameh, Maisie Richarson-Sellers and Dominic Purcell also star. Kevin Mock directed the episode written by Grainne Godfree (#214). Original airdate 3/14/2017.